The complexity of the world around us is creating a demand for cognition-enabled interfaces that will simplify and enhance the way we interact with the environment. Project WEARHAP, aims at laying the scientific and technological foundations for wearable haptics, a novel concept for the systematic exploration of haptics in advanced cognitive systems and robotics that will redefine the way humans will cooperate with robots. The challenge of this new paradigm stems from the need for wearability which is a key element for natural interaction. This paradigm shift will enable novel forms of human intention recognition through haptic signals and novel forms of communication and cooperation between humans and robots. 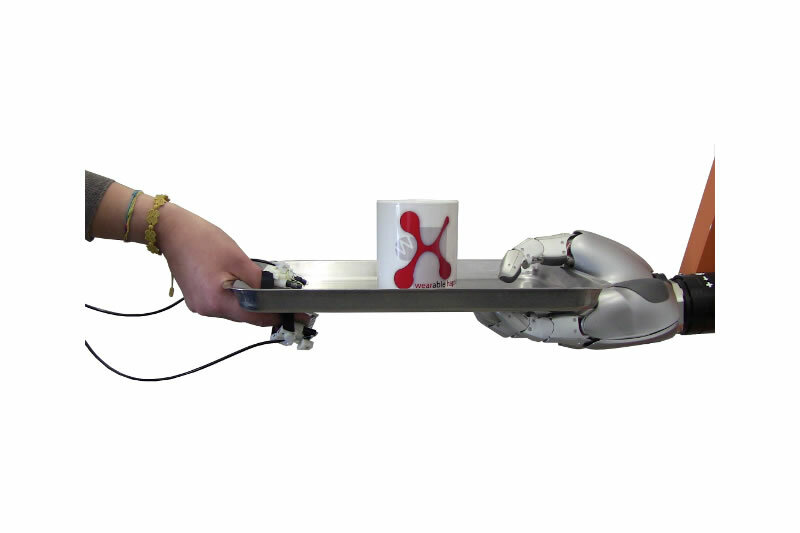 Wearable haptics will enable robots to observe humans during natural interaction with their shared environment. Research challenges are ambitious and cross traditional boundaries between robotics, cognitive science and neuroscience. Research findings derived from distributed robotics, biomechanical modeling, multisensory tracking, underaction in control and cognitive systems will be integrated to address the scientific and technological challenges imposed in creating effective wearable haptic interaction. To highlight the enabling nature, the versatility and the potential for industrial exploitation of WEARHAP, the research challenges will be guided by representative application scenarios. These applications cover robotics, health and social scenarios, stretching from human-robot interaction and cooperation for search and rescue, to human-human communication, and interaction with virtual worlds through interactive games.